Every year during the third week of September is National Wellness Week, which is part of National Recovery Month. Put on by the Substance Abuse and Mental Health Services Association (SAMHSA), National Wellness Week is used to help raise awareness of substance abuse disorders and mental health disparities. 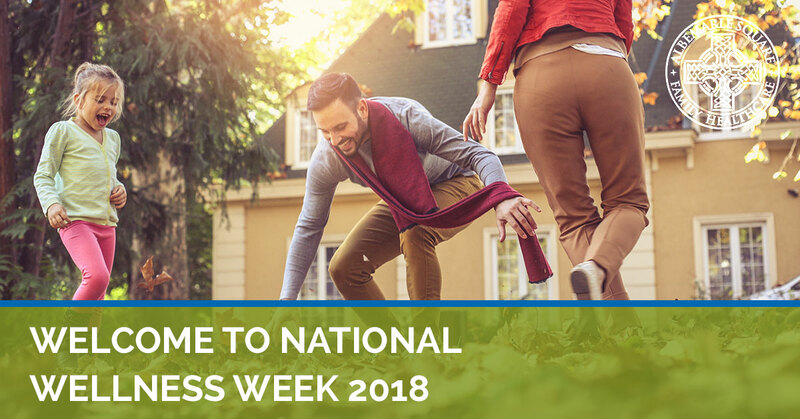 In this blog, the healthcare professionals at Albemarle Square Family Health, your friendly neighborhood doctors in Charlottesville, are here to help you understand why National Wellness Week is so important. Wellness isn’t just about your physical fitness. In fact, it encompasses much more than just how you look. Wellness deals more with how you feel overall — not just about yourself, but other people and your environment as a whole. There are more aspects to wellness than just physical fitness. In fact, there are seven other aspects of wellness that have nothing to do with your ability to lift weights or run miles. Intellectual wellness is not just becoming super smart. It pertains more to discovering your abilities such as drawing, reading, sports, or singing, and finding healthy ways to expand your knowledge and prowess of those abilities. Whether you’re a master of one thing or jack of all trades, find something you’re good at and learn how to make yourself great. Though you may not be religious, good spiritual wellness does more for you then giving you a belief in a higher power of your choosing. This aspect of wellness gives us a sense of purpose and helps us find meaning in life. Sometimes one of the hardest aspects of life to enrich, financial wellness isn’t just about making a lot of money. Finding satisfaction in your current economic situation and with what you have accompanied by stable financial planning will help create stability in your life. Emotional wellness deals with how we effectively cope with the ups and downs that life throws at us as well as how we create and build healthy and satisfying relationships with those around us. Finding balance in your emotional health can help strengthen and reinforce other aspects of wellness such as intellectual and spiritual wellness. Creating real connections with people will instill a sense of belonging. Social wellness is all about making a support system between people who later on become great friends and possibly even family. Much like emotional wellness, social wellness can help impact other wellness categories. Have you ever had a job you just hated? Well poor occupational health can impact you greatly, bringing down other aspects of wellness like emotional, financial, social, and even physical. If you don’t find personal satisfaction or enrichment from your job, then it may be time to find a new one. Environmental wellness deals with the world around you. Though you can’t always control what happens in your environment, you can choose where your environment is. Try to live somewhere that you find pleasant and helps stimulate you mentally and creatively while also helping you grow. Last and surely not least is physical wellness. This aspect of wellness doesn’t just pertain to your ability to lift a bus or run a marathon without breaking a sweat. It also deals with your diet, proper sleep, and your ability to accept your strengths as well as your flaws. Overall wellness will not only help us live longer, it will help improve our quality of life, so we live even better lives than before. If even one of our aspects of wellness is diminished then it could impact our entire overall wellness. If you suffer occupationally, then your financial wellness will most likely suffer as well,which could lead to dips in social, emotional, and possibly spiritual wellness. Finding the right balance between all aspects of wellness will help you feel like you’re on top of the world. If you’re looking to improve any or all aspects of your overall wellness, then the certified physicians at Albemarle Square in Charlottesville can help you achieve your wellness goals. Learn more about Albemarle, see what our doctors can do for you and your family, or contact Albemarle Square Family Health to answer any questions you may have. Lean more about National Wellness Week here!